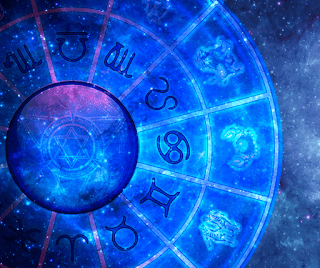 What Will Your Horoscopes Tell You Today? Travel delays are a distinct possibility today, no doubt due to circumstances beyond your control. Try to stay calm if things go wrong. There’s nothing you can do. You’re finding it a hard slog keeping your life on an even keel today. Interest and imagination are now on offer allowing you to involve yourself in situations closed before. Be prepared to make serious compromises in friendships. You want everything your own way but it may not be possible. Be assertive socially. Your ideas are good. Positive planetary position aid and abet personal relationships today now that Venus is on your side. Show that you have good judgement by untangling life’s puzzles. Difficulties surrounding an intimate relationship seem to be on the cards today so getting these sorted out should be your number one priority. Talk from the heart. Setbacks are unavoidable today so don’t bite off more than you can chew. Persuade friends to do little jobs on your behalf. Nothing wrong with careful planning. If you keep the pace of everyday life brisk, finding time to be yourself will be hard. Don’t get hung up on Christmas yet even if others say it’s just around corner. There’s great potential in material side of life today, but you won’t get everything you want, in fact it'll seem odd on occasion. Get in touch with the right people. You’re confident in your own powers to make changes in your life but an ego boost is what you really need. It’s coming. You make a positive impact on everyone you meet. Expect challenges to your ambitions today, but if you stay on the ball and make sure what you’re saying isn't misinterpreted you'll glide ahead without any bother. Socially speaking it’s a period that offers you scope for fulfilment and the chance to get on with people who haven't played a significant role until now. Don’t allow anything to stand in your way today generally. You have everything to play for and have the ability to persuade others to lend a hand when it matters most.